Many thanks for the lovely room, peaceful village and treatment. All staff very cooperative and willing to help. Food excellent. Doctors very nice . I had the most wonderful experience....and so did my 10yr old kid. The staff at the facility are extremely cooperative and friendly, so much so that they make us feel at home. The food was fresh and well prepared. Here I would like to suggest a separate meal for kids as its difficult for them to adjust especially for those kids who are used to non vegetarian food. The doctors at the facility are knowledgeable and polite . The staff giving the massage treatment were extremely professional and well trained. I could sense an attention to detail. And the cleanliness maintained in particular. Yes the RoseAbhyangam was a treat! but the shirodhara took me to another world all together! The ambience of the place especially is so peaceful and serene that You dont want to think about the outside world I have recommended this place to many of my friends and colleagues who enquired after i put some photos on FB. so i request you to keep up the good work and not disappoint them. My daughter loved the place. But amazing experience. Got good relief. Met Mr Bhupesh Babu also and had a nice interaction with him. Impressed with his thoughts. Thanks to Agni Family. Shall visit again soon.. Felt like heaven. Excellent services. Very prompt in their communication. I am so touched by all the love and care that the resort staff have offered to Arun and me. From taking care of all Arun's needs as he was ailing, to providing a driver on two occasions for our comfort.The space, the food, the warmth that the retreat and all its people exude are most wonderful.I am sure to visit again and recommend it to all my friends and family.Thank you once again for making it a special tenth anniversary for us and doing your best against all odds. Absolutely great experience. Very good doctors and treatment, special mention to customer service team & doctors for their support. Would like to visit again soon. 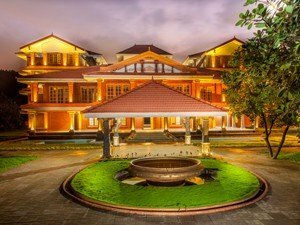 Excellent place to visit Kerala within 2 hours from Mumbai. Excellent super and a peaceful place to go. Their treatment work. I was looking for a Wellness program in Ayurveda on internet, that's how I came across Ayurvedic Village. I tried weight loss program along with wellness. My experience of stay here was really good. The staff is very friendly & polite. The treatment were good and doctors are expert. We visited Ayurvedic Village in Aug 2017. The stay was very comfortable. Rooms were clean, Service was prompt, food was also good .Location is away from the hustle bustle of the main city area. Nice view from the room of the haji malang Mountains. I had a great experience at Ayurvedic village. It Was rejuvenation, the staff was pleasant & very co-operative , Organic Food was served.Doctors are very experienced and treatment was very effective. I really liked Ayurvedic Village. I had a Knee Problem and it's almost recovered. The Doctors are very good, they visit Patients rooms regularly. I would recommend to everyone to visit Ayurvedic Village experience it once in your life. I love to explore new things, so I keep searching relaxing places on holidays that is how I came across Ayurvedic Village. I really liked this place. The good part is food very nutritious and healthy. I feel Ayurvedic Village is like a second home for me. A great place to de-stress and relax. Homely atmosphere with 5 Star facilities. A Place right in the heart of city. Great ambience, excellent food, good service, specialized Ayurvedic rejuvenation techniques by experienced therapists. Overall experienced service.